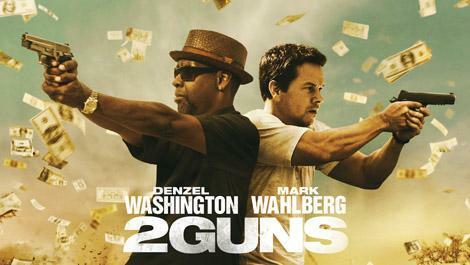 The Denzel Washington and Mark Wahlberg action comedy flick 2 Guns took the top spot at the box office this weekend ($27.4 million). The Smurfs 2 had to settle for a mediocre 3rd place finish ($18.2 million)... especially compared to the first Smurfs movie's $35.6 million take on opening weekend two years ago. However, all is not lost for the blue fellers, as it has already grossed $52.5 million overseas. Coming in second place was The Wolverine ($21.7 million). Despite the media calling it a flop, it has grossed $95 million in the states, and has already taken in $160.2 million overseas for a worldwide total of $255.2 million. In other news, Despicable Me 2 passed the $700 million mark worldwide ($713.7 million).